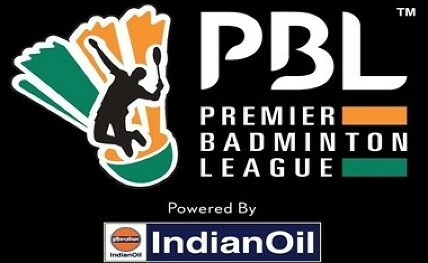 Bangalore, Jan 11: After an enthralling league stage which witnessed some power-packed action, the Premier Badminton League (PBL) has narrowed down to the top four teams who will be battling it out in the semi-finals to get a step closer to the coveted trophy. While the first semi-final will be played between table toppers Awadhe Warriors and hosts Bengaluru Raptors, defending champions Hyderabad Hunters will take on Mumbai Rockets in a bid to repeat last year's success here on Saturday. The Hunters have carried forth their sublime form from the last time around, garnering 24 points to finish second at the table. Led by the exquisite PV Sindhu from the front, the Hyderabad team has lost only one trump match in the season so far, winning 5 of their 6 trumps used and will be keen to extend it further. On the eve of their semis clash, Hunters skipper PV Sindhu said: "We are really excited to have made to the semi finals. Though the stakes are higher as a team we are playing well and we will be giving everything to keep ourselves in the title hunt." With the likes of Anders Antonsen and Sameer Verma, on the other hand, spearheading the Mumbai attack alongside the experienced Lee Yong Dae, the Rockets cannot be treated lightly either. Their line-up boasts of some serious firepower and the Hunters will have a task cut out for themselves when they face Mumbai Rockets on court. Mumbai, who finished fourth in the table with 19 points, have enjoyed a very consistent season and will once again seek to strike the chord right and seal their place in the grand finale. Runners up in the first and second edition of the PBL, the Rocket's will thus be extra-charged to make amends for their missed opportunity and give themselves a promising chance to earn their maiden PBL title. "This is a good opportunity for us; Hyderabad Hunters are the defending champions and we'd like to beat the best to be the best. We have a good chance and the team looks extremely confident. We have been training really hard. I am sure Bengaluru will be up for a great contest," Mumbai's icon player Lee Yong Dae said.